family, gathered, on October 14th and 15th of this year, to the middle school of the American Independence, the charismatic Congress of praise and worship entitled " Family, God's treasure for the world ". Then the RCC of Arequipa made a small moment of celebration in memory of the last 50 years which were of graces for the Church and 46 years old of presence to Arequipa. During this celebration, we heard the testimony of some brothers on how Rènovation Charismatique Catholique transformed their life into Christ during all this time. 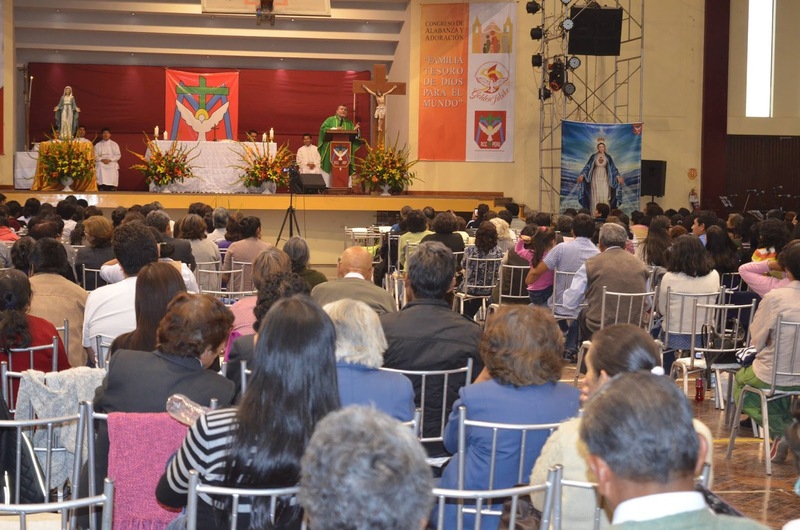 The congress ended by the mass with P. Miguel Angel Soto Toloza Cjm, priest eudiste of the Minuto de Dios and the diocesan helper of the RCC Arequipa as president. At the end of the mass, we prayed for the actors of the congress and we asked that the grace of the Lord falls on all the families of Arequipa and Peru.